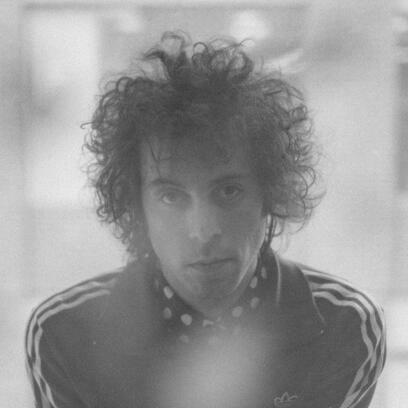 Daniel Romano is a multi-talented musician, producer, label co-owner, and fashion entrepreneur who lives in Fenwick, Ontario. Over the past 15 years, he’s made a name for himself in bands like Attack in Black and Daniel, Fred, and Julie and as a solo artist exploring the far reaches of folk and country music. His fifth solo album is called Mosey and it may well be his most ambitious record to date. It’s out worldwide via New West Records on May 27 and Romano and his band hit the road hard right around then. Here, Daniel and I discuss living in Fenwick, Ontario on a compound, communalism, Spencer Burton rolls around with pigs, The King of Mosey, boxes, temporality and cultural identity, world war, hopelessness, revolution, cultural orthodoxy, there’s no style, Dan’s promo photos, classic country music fans, being a student in different classes, false futurism and reverence for history, unintentional influences, Lee Majors, The Fall Guy, cinematic influences and instrumentals for an abandoned short film, poems, where the strings come in, the song “Mr. E Me” and its potential autobiography, knowing himself, Slim Twig and David Bowie, how people fear change, grip of the industry, consumers, no one is taking chances outside of hip-hop music, devaluation, becoming a dog person, relating to his audience, Snoop Dogg in a cowboy hat, sartorial iconography and intent, the united states of Americana, good is gone, desperation to sustain something vapid, how actress Rachel McAdams wound up playing a character on the song “Toulouse,” Rachel laughing, earnestness and humour, it’s all gone, how film and television people learned what not to do from the music industry, how we pay for HBO and it always delivers, worse jobs than musician, art is everywhere and it pays nothing, why hip-hop is thriving in an age of self-promotion, a denim storefront in Fenwick called Friday’s Child, stage wear, unsettling individuality, his power-pop project Ancient Shapes and their new record, which is out May 27 via You've Changed, the song “Hunger is a Dream You Die In,” how and why Dan tends to play every instrument himself, and then we had to mosey.